"Life Worries Got You Stressed Out?" Here's a proven way to live a worry-free life and enjoy those things you felt you could not attain! Robert Collier, Author of "Secrets of the Ages", Reveals The Shocking, Simple, Yet Secretive Truths of How to "Be Rich." Let me ask you something… Are you searching for increased abundance and empowerment in your life? Trying to find a simple formula you can use to help you attract more of what you want out of life? Imagine getting up in the morning and being excited about the new day! You're happy! You've found the secret formula of making your dreams come true. You see hope for a bright future, and you're no longer worried – you know you're on the right path. You are a success! This long-forgotten manuscript, written by Robert Collier in 1949, will show you - using a 5-step scientific approach - how to get more of what you want in your life and how to become more abundant and empowered. After reading hundreds of book on the science of manifesting desires, I may have become a bit of a critic of most books. I see too many books that are based on false principles and require blind faith in order to get the steps they teach to work. Rarely do I read a book that reasonates with my soul in the way this book does. I can't completely explain it, yet somehow as I scrolled through the first couple of pages, past the publisher's information to get to the opening page of the book itself, I felt - something - that suggested that this was a treasure waiting to be rediscovered. I knew that the original book was published many years ago, and that it is generally nearly impossible to get a copy of it through normal channels. Some of the best books of the past, no longer in print, are difficult to find and cost $10,000 or more if you can find one. Lucky for us, the publisher Darrell Dean has located and purchased a copy of this lost classic and invested the time to bring it to the modern world. This is one of those books that is a joy to read even when you already know the information contained within. And yet, even with my own extensive research into this field, there were some surprises that opened my eyes to some interesting possibilities. For instance, the word "Heaven" in the ancient Greek texts suggests the meaning of the modern word "expansion". This leads to an interesting interpretation of the way miracles are produced and how to perform them in modern times. Robert obviously has a scientific background, and refers to several elementary scientific principles as examples of how the Power of Spirit works to produce miracles. From the feeding of the masses on the mount to the increase of our bank accounts, Robert shows us how the internal processes operate and gives us practical guidance on how to duplicate them. By the time I reached page 20 of this 34 page ebook, I was feeling quite tickled by the clear, simple, yet powerful messages Mr Collier uses to help the reader truly understand the principles at a deep, intuitive level. In fact, on page 20 itself, Robert offers a very unique interpretation of the Biblical quote "In His image, He created Man." Not something that most modern "Fundamentalist Christians" would be happy about, that's for sure. And on page 24, we get a very simple, 5 step method to manifest whatever it is that we may desire. And further on the page is another concept that "the Church" would be horrified to have known - why they have taught that poverty was a 'virtue'. Overall, reading Be Rich was a thoroughly enjoyable experience and presented some new ideas on some old principles. I highly recommend it to anyone wanting to strengthen their ability to manifest abundance in their lives. "You Are The Architect Who Determines The Materials That Are To Be Used In Making Your Life And Your Circumstances." Picture in your mind what you desire and hold it there. In this self help ebook Robert Collier gives you specific guidelines on how to create your picture, and how to use this image and the power of mind to create tangible results. "You control your destiny, your fortune, your happiness, to the exact extent to which you can think them out, visualize them, see them as already yours…The quality of your thought is the measure of your power." Yes, of course you do! I know you have your own circumstances. You've tried to change your life, but it’s hard. But the point is you have a choice. You can use your energy to become a better you. You can use the teachings in this ebook to create your own success story, the exact future you want. A future that is bright with hope and promise. "You Will Go In The Direction You Face." In this ebook Robert uses tons of examples to explain his 5-step approach. He employs a Christian perspective to show you "Every condition, every experience of life is the result of our mental attitude." Are You Ready To Get More Of What You Want Out Of Life? 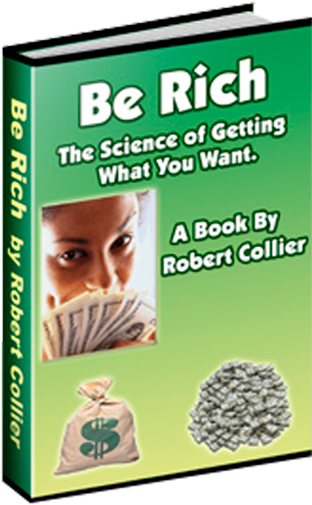 Be Rich: The Science of Getting What You Want by Robert Collier can help you "Be Rich" It can help you achieve your goals in ways you never thought possible. 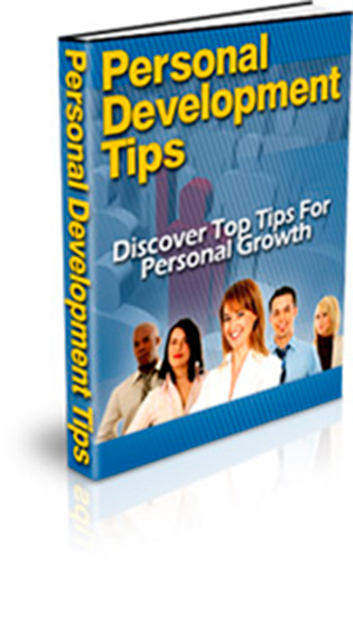 It can provide the long-lost solutions for your health, your personal life and your business. But How Much Will I Have To Pay To Buy A Proven System To Make Me More Abundant? First of all you need to understand that just like anything else in life, this 5-step scientific approach isn't going to work for you if you simply purchase the eBook and then leave it unused. Ownership alone isn't going to make you "rich!" This information is timeless. Robert Collier wrote this book over 50 years ago, but his teachings are just as relevant and timely today as ever before. It took me a long time to find this rare self help manuscript. I was overjoyed when I stumbled upon it a short time ago. Mark my words, books like this one are extremely rare and difficult to find. But what makes this 5-step scientific approch so remarkable is that if you're successful in getting hold of a copy and you simply follow the easy-to-use instructions in applying the principles to your own situation, then there's no reason why you shouldn't be able to replicate the success that others are having in becoming more abundant and empowered. So how much should a rare, out-of-print book like this cost? Well it's no secret that some of the best books of the past are no longer in print, are difficult to find and cost $10,000 or more if you can find one. On the other hand, you can probably hire a professional life coach who charge their clients around $250 per hour. On average they spend 2 hours per month advising their clients, so that’s $500 per month. My mind was nearly made up with regard to the price point, yet something still continued to play on my mind. While I know that at $500 this rare manuscript would be worth every penny, I was also pretty certain that this figure would put off some of the very people who I'm most keen to help. So I went back to the drawing board and tried to imagine a price that would allow more people to become lifelong members. How about I charge just $99.97? That means that you could secure your own copy of this rare publication for only $99.97. Whoa, now that seems more than fair! Okay, I'll be giving away a lot of value at a deeply discounted price, but I also understand that some folks won't be in a position to take the $500 plunge right now, whereas a $99.97 one-time fee would be plausible. And that's it, a copy will sell for $99.97 after the launch offer. That's a real bargain because as you know the anticipated success rate for people just like you to finally become more abundant and empowered with this rare manuscript is extremely high. Now wait just a minute. For those who act right this minute (and I mean today ), I have an extra-special treat in store. If you go ahead and secure your copy of this rare book right this minute, then I'm going to let you have it at 88% off! Yes that's right, rather than paying $99.97, you'll pay just $11.97. But you'll still receive this rare eBook, plus incredible extra bonuses below, as a reward for acting during this pre-launch period. So where’s the catch then? Why am I practically giving this rare manuscript away? Act Today And I'll Throw In 2 Bonus Products! That's right. In addition to getting your hands on this groundbreaking ebook at a 88% discount (but only during this pre-launch period), I'll also throw in 2 extremely valuable products that you can immediately use to get more organized! How cool is that! 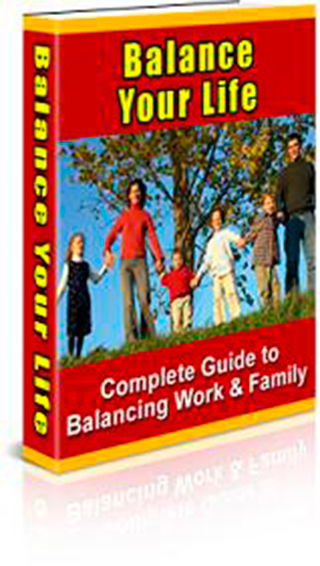 Balance Your Life: The Complete Guide to Managing Work and Family is a step-by-step guide that will teach you how to take control of your life! The meaning of Work/Life Balance and why it is important to you and to all of us; How to better manage your time and take advantage of the time you have to get things done; How to transition from work to home and back again so that you and your family can enjoy your time together. Stop wasting your time and energy trying to achieve success in whatever you want... develop the winning attitude and traits needed with ease! Recognize the three "Cs" - commitment, consistency and consolidation - and learn how they contribute to your personal success. But remember, these are bonuses that I'm providing during this pre-launch period and in addition to the 88% discount. It represents an astonishing deal that will be gone if you walk away now. So secure your ownership right away. I personally guarantee that if you make an honest effort to read and apply some of Robert Collier's teachings over the next 60 days, but then decide during that time - for whatever reason - that it can't work for you, then I will gladly refund your money, no questions asked and nothing deducted from what you paid. That means you can try out this rare manuscript at my risk, while you see if it works for you or not. And if this ownership doesn't provide precisely what you are looking for, I honestly want you to ask for your money back. And I’ll let you keep the free bonus gifts as my way of thanking you for giving this 5-step scientific approach a try. 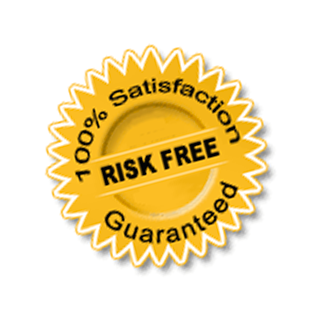 Bottom Line: there is absolutely no risk, whatsoever on your part. The burden to deliver is entirely on me. If you don’t meet your objectives by transforming yourself into a more abundant and empowered person, then I’m the loser, not you. Special Notice: The sale of this rare manuscript has only just been re-launched, meaning that you'll receive a huge discount by securing your copy now, including all two bonuses. Please note that this is an eBook. It is delivered digitally over the Internet. Note: You will be able to get immediate access your the manuscript and all bonuses! P.S. -- Just think! In a month or two's time you could be looking back and wondering why you ever even paused to consider this puny one-time investment of just $11.97. It's a drop in the bucket compared to how much more abundant and empowered you'll be! P.P.S. -- And yes, it keeps getting better! 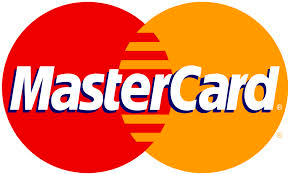 Your purchase includes eligibility into our affiliate program. Recommend this book system to others and earn up to 35% in commissions. Full details can be found on the download page after purchase.